Organisations can forgo hiring additional developers by having their own employees design certain aspects of their software. Much has been said about the emergence of the citizen developer, which Gartner defines as a user who creates new business applications for consumption by others using development and runtime environments sanctioned by corporate IT. These are typically business analysts or application owners who are tech-savvy but don’t have formal training or extensive experience in traditional development. The primary driver for the rise of the citizen developer is a talent shortage. There simply aren’t enough skilled mobile developers to satisfy the typical enterprise’s hunger for mobile apps. Analyst firms like Gartner have predicted that enterprise mobile demand will outstrip IT’s capacity to deliver by a factor of 5 through 2018, and the U.S. Bureau of Labor Statistics projects that by 2020, one million programming jobs in the U.S. will go unfilled. Cultivating the citizen developer community is absolutely essential to delivering mobility at scale. However, purely looking at citizen developers as a more abundant resource in the absence of traditional developers understates their value. In many ways, leveraging citizen development has inherent advantages that allow organizations to deliver better and faster results to the business. Delivering a high quality UX starts with picking the right use cases. Business analysts and application owners are typically aligned directly to a line of business such as Sales, Field Services, Finance, or Human Resources. As such, they are much closer to the actual end users of apps than central teams of developers are. They can quickly understand how each use case would impact their users and business. They are also motivated and measured on delivering results to the business. Rather than more technology-oriented metrics like project completion and SLAs, they tend to be measured on the adoption of apps and business impact. By thinking about the right use cases from the start, citizen developers can help businesses focus on apps that matter. In managing the existing business applications that have supported each line of business, citizen developers have a better understanding of how end users interact with those applications. In many cases, they are in the front lines in supporting those end users when issues arise. As such, citizen developers are better positioned to understand how to deliver functionality through an app that would directly cater to end users. Citizen developers also better understand all the complex functionality, workflows, and business logic of business applications. They also tend to have the critical understanding of how the enterprise applications have been customized. One of the most common reasons mobility projects go sideways is by underestimating the effort that is involved in maintaining or recreating all the business logic and customizations inherent in business applications. By allowing citizen developers to directly deliver apps, organizations can better ensure that the business processes and rules stay intact, minimizing risk. Many software defects occur in the process of translating requirements to development teams, which leads to added cost and project delays. By turning the ones writing requirements into the ones that actually deliver the apps, organizations can ensure that apps are delivered faster and according to the needs of the business. Another key benefit of citizen developers is that they are already employed within your organization today. Recruiting and hiring a new mobile developer can often take months and can be costly. The average pay of a mobile app developer averages around $72,000 nationwide, with Silicon Valley salaries for mobile developers hovering around $115,000 a year. Outsourcing a mobile developer or hiring a contractor can be even more expensive. With average enterprise mobile apps taking more than 200 hours to build, compounded by rates of $45 - $75 an hour, a single app could cost your company over $150,000. 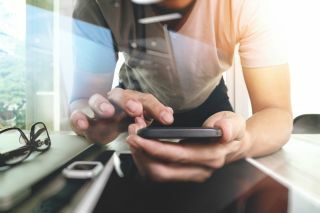 As business leaders try to quickly usher their organization into the mobile era, these high costs and long wait time are simply not feasible. A citizen developer can be a game changer for the organization - because they are already embedded within the business, there’s no need to hire additional employees. The organization simply needs to uncover the citizen developer from within the company. Now, although citizen developers have many advantages in delivering apps for the business, this isn’t to say that citizen developers can replace more experienced and technical development teams. In many cases, developers will need to ensure a proper foundation upon which citizen developers can deliver apps. Critical aspects of apps, such as performance, security, and integrations need to be enabled by developers to lay the groundwork for citizen developers to ultimately create apps. Additionally, central IT teams will need to ensure citizen developers operate within frameworks that support maintainability and scalability. There will also be certain use cases that are better suited to be delivered from the ground up by a development team. Typically, that means net-new apps that require a “full stack” implementation as well as business-critical, consumer-facing mobile apps. However, when enabled with the right tools, citizen developers can be a strategic augmentation to any business’ development resources. By tapping into the inherent skillsets and knowledge of business analysts and application owners, businesses can effectively deliver business-critical apps at much greater scale than what is possible today.